A partnership of the local bishop, retired U.S. priests and bishops, retired/active executive level business leaders and their associates who want to share their time, talents, resources and connections doing shared ministry in creative new ways that are both life-giving for them in their retirement years and beneficial to the mission of the Church by tackling targeted mission needs and projects. The Guild offers bishops and priests in the U.S. opportunities for continuing ministry after their retirement. 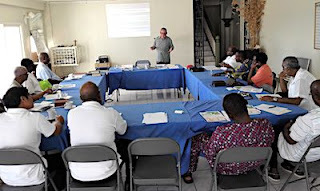 They may fill-in for local clergy who are on vacations or sabbaticals, offer retreats and formation programs for clergy and laity, lead parish missions and work with local church agencies in helping the disadvantaged people of these missions. 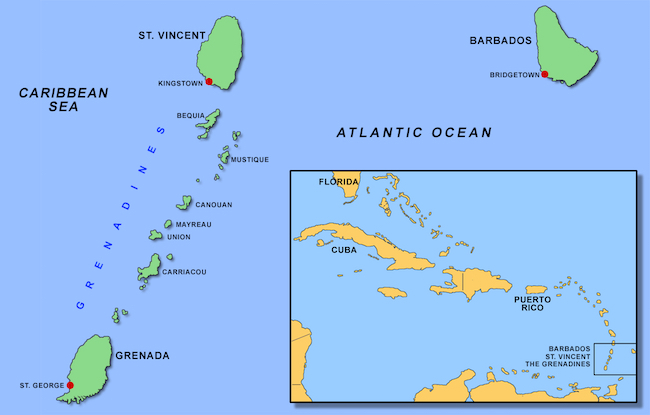 Due to the generosity of many donors we have made some inroads on the many needs of the dioceses on St. Vincent and Barbados. Two vans purchased to transport young and old to church and related church activities and doctor appointments. Purchased a reliable car for the bishop on St. Vincent. A new boat motor used by clergy to travel to the various island parishes in the Grenadines. 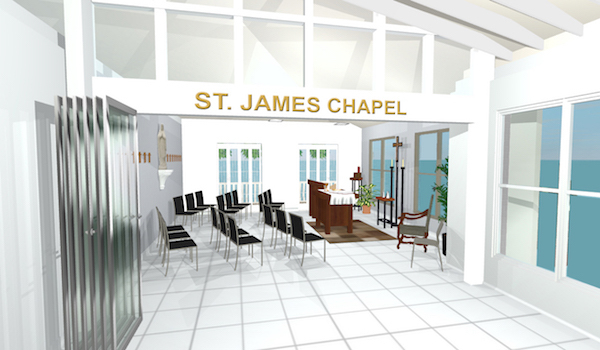 Began construction on a new chapel, altar furnishings and the Guild headquarters in the Pastoral Centre on St. Vincent. Christmas gifts for 110 children - orphans, kids with aids and the sisters who serve them. Christmas gifts for the elderly in the nursing home. Financial aid for an abused girls home. 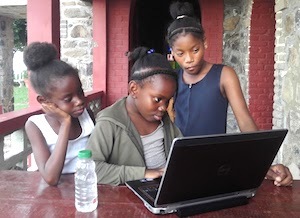 Established a computer camp and provided laptops to needy kids. Sent 7 teens to World Youth Day. The Pastoral Centre in Kingstown is the residence for the bishop, Bishop County, and home to the diocesan offices. It has meeting spaces for small and large groups. It has guest rooms for visiting clergy attending meetings and retreats. 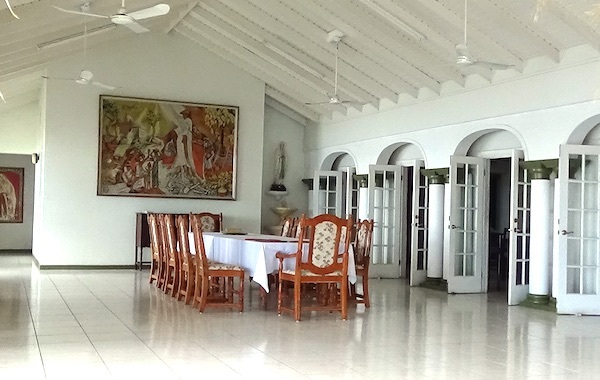 It is a grand old house which was donated to the diocese when it was established, but it is in great need of repair and renovation in order to adequately serve the needs of the diocese and receive retired priests, bishops and professional lay people who go there to offer their talents, resources and connections for future projects. The Pastoral Centre will become the headquarters for the Catholic Second Wind Guild’s programs and activities. Guest rooms for visiting Guild workers are in disrepair. The two kitchens that serve guests and large meeting groups are in bad shape. Bathrooms and plumbing and electrical all need to be updated. A workable dining space is sorely needed and the large conference room needs capabilities for audio/visual presentations. The current chapel is not a suitable space for celebrating Eucharist. New finishes and fixtures are needed throughout the spaces. We are in the process of raising funds to accomplish this goal. 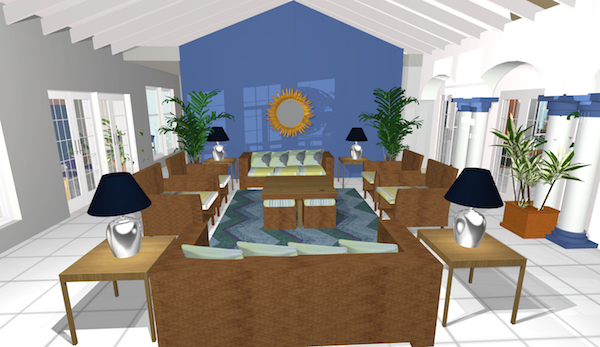 Due to the generosity of many people we are on our way with the creation of a new chapel and the office suite for the Guild coordinator, but we have far to go to accomplish our goal. 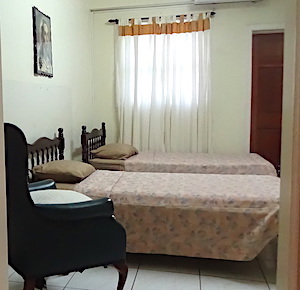 Our next priority is the renovation of the guest rooms and the main floor kitchen. 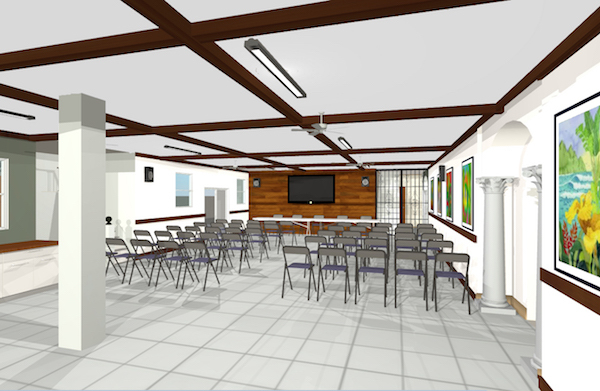 The following are before and after images of various projects and proposals for updating and renovating the Centre so it can meet the needs of Guild participants as well as serve the needs of the Diocese and it’s mission. The current chapel (below left) in the Pastoral Centre is inadequate to serve the Eucharistic needs of groups. We are creating a larger chapel space in the great room area of the building (below right) for a new chapel that will comfortably seat 18 people. Sliding/stacking glass doors will enable the space to accommodate twice that when needed. 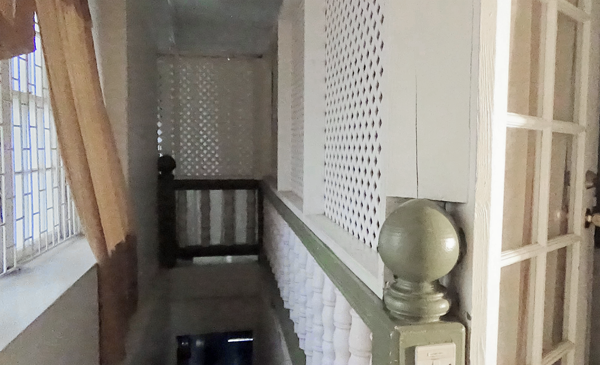 This space has beautiful natural light and a balcony that will be used for prayer and meditation. New altar furnishings will be constructed for the chapel. 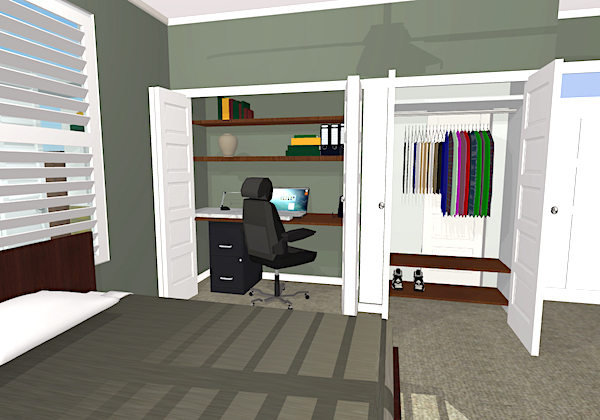 One of the guest rooms in the Centre is being converted into a bedroom/office for the Guild coordinator. The hallway leading to the office is also being renovated. 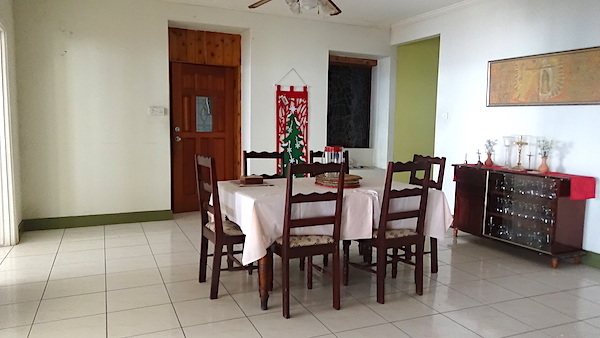 This kitchen serves the Centre staff, house guests, the Bishop and small meeting groups. 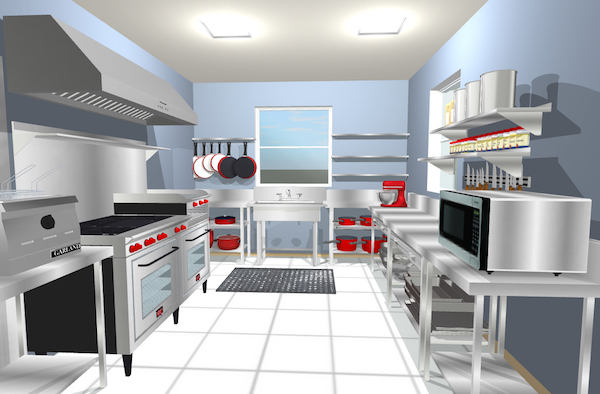 It needs a complete gut to update cabinetry and new appliances to make this a viable kitchen in serving the needs of the Bishop, staff, visiting clergy and Guild members. 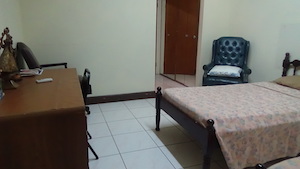 There are 7 guest rooms in the Centre building. These rooms with attached baths accommodate 2 guests each. The current furnishing and fixtures are in bad shape - chairs with torn fabric, missing ceiling fan blades, missing exhaust vents, mattresses and pillows that need replacing, plumbing that is hit or miss, tile that needs a thorough cleaning, etc. 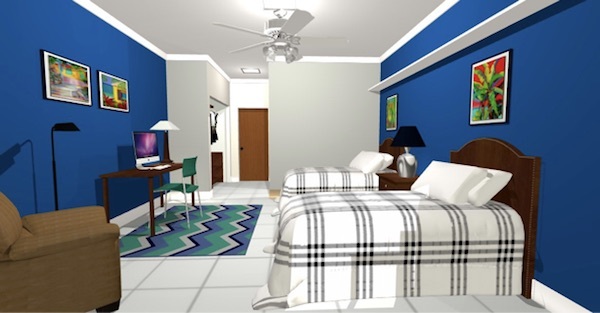 The goal is to make these simple, yet comfortable accommodations for visiting diocesan clergy and Guild members. 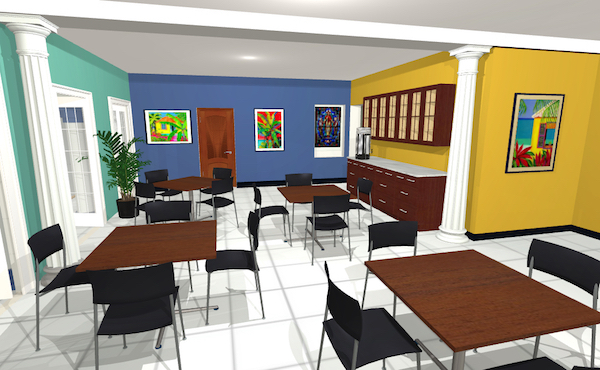 The space off the main floor kitchen will become a dining room with tables that can be configured for different needs. A service counter will be added for buffet service and storage of dishes, glassware and tableware. This space could also be used for small meetings. 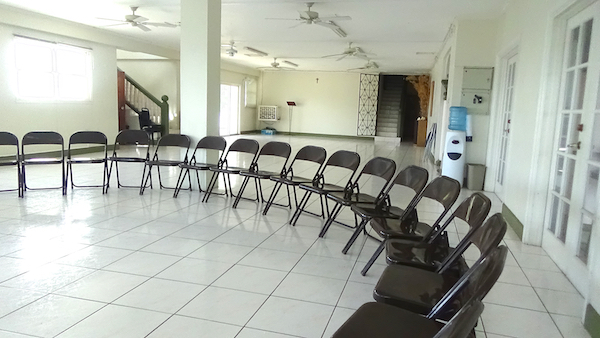 This space is used for large meetings and gatherings and to serve meals to those attending. The space could use some updating and adequate audio/visual equipment for presentations, new lighting, fans and a service counter. This space in the large hall would be a comfortable space for informal gatherings, informal meetings and discussion groups. This kitchen serves those at meetings in the large meeting room. It is totally inadequate for that purpose as of now. Our goal is to renovate and re-equip it so it is truly functional as a commercial-style kitchen that can serve large groups. 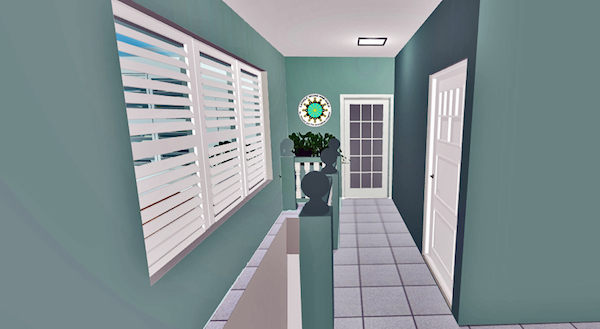 Headquarters - $5,000 to complete project. 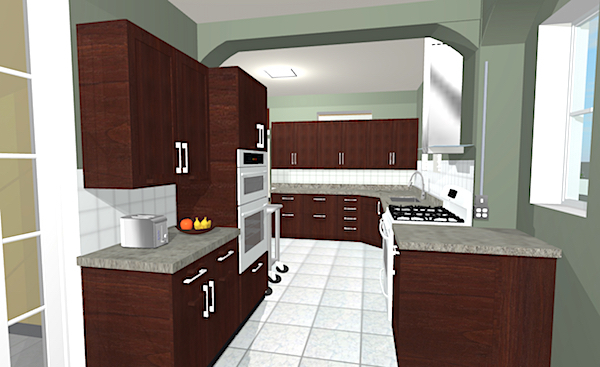 Main Floor Kitchen - $20,000 to complete project. Goals for 2018: renovate the remaining areas of the Centre - offices, entrance and balconies. *We have determined that although products are often more expensive to purchase locally on the islands, shipping and import taxes for items sent from the U.S. make shipping to the islands prohibitive. Buying locally helps the local economy. Fr. Ron - I am so happy for all of your progress! I have a check coming your way! What wonderful God inspired work you do! Many Blessings!